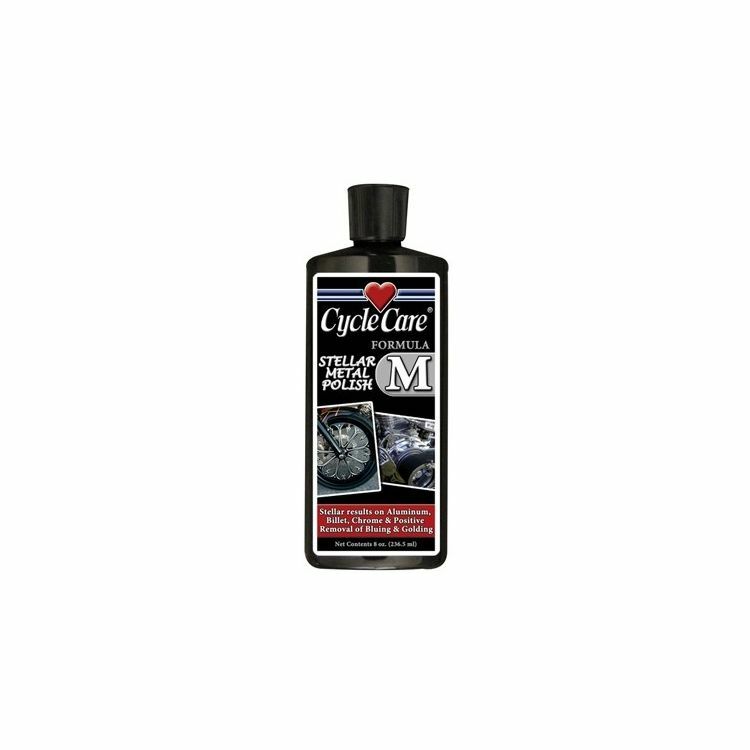 Cycle Care Formula M is the best way to clean, polish, and protect motorcycle metal surfaces. When polishing aluminum, Formula M is a pumice- and grit-free formulation, which will not scratch highly polished billet and chrome surfaces. It's an easy on and off application, which makes polishing aluminum wheels and rims less labor intensive. Quickly removes oxidation and polishes aluminum surfaces to a chrome like finish. Formula M leaves a protective coating, which resists future oxidation, for a long-lasting shine, without the use of additional sealers or polishes.